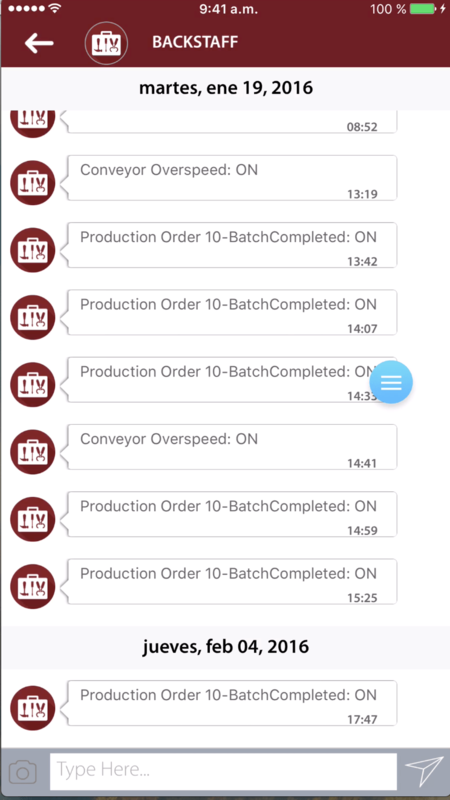 Build an advanced alarming and event notification system that fits the needs of your operation with the BackStaff Notification and Messaging system. BackStaff notifies events and alarms through its instant messaging system. Users subscribe to the events and alarms they will like to receive and BackStaff sends and receives acknowledgements. Each user configures the alarm and event notifications of their choice. Any alarm scenario is easy to set up with the module’s drag-and-drop interface that lets you build a variety of custom alarm notification pipelines, including: consolidation, delay, selection, escalation and task assignment. Using BackStaff, you will have control over what you want to be notified of. Users can be organized by roles into group. When an alarm notification is sent, it goes to those on a designated group or individual. The system then evaluates each user’s schedule so that only those who are currently on shift will be notified. You can change your schedule at any time. BackStaff connects to your SCADA’s alarm and event database as well as to the tag value via the common industrial communications.